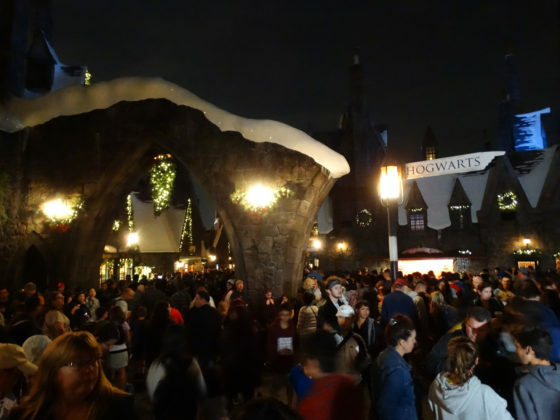 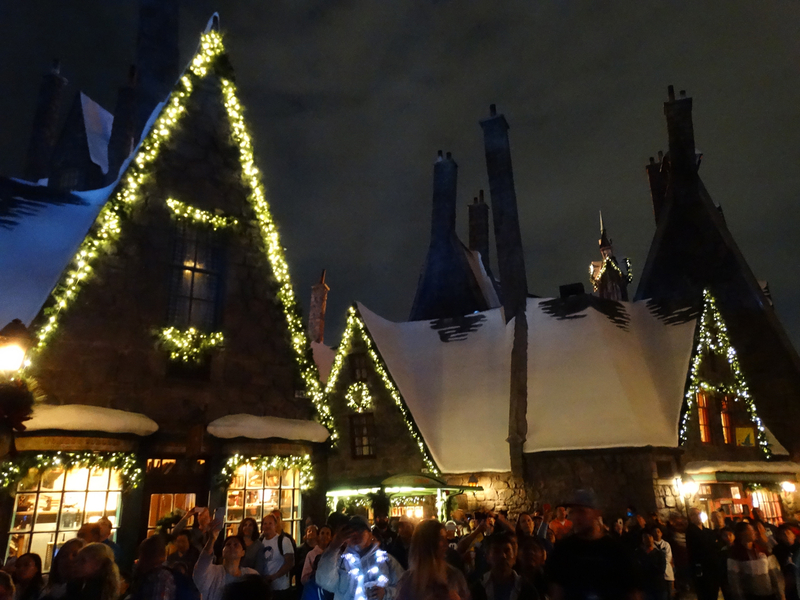 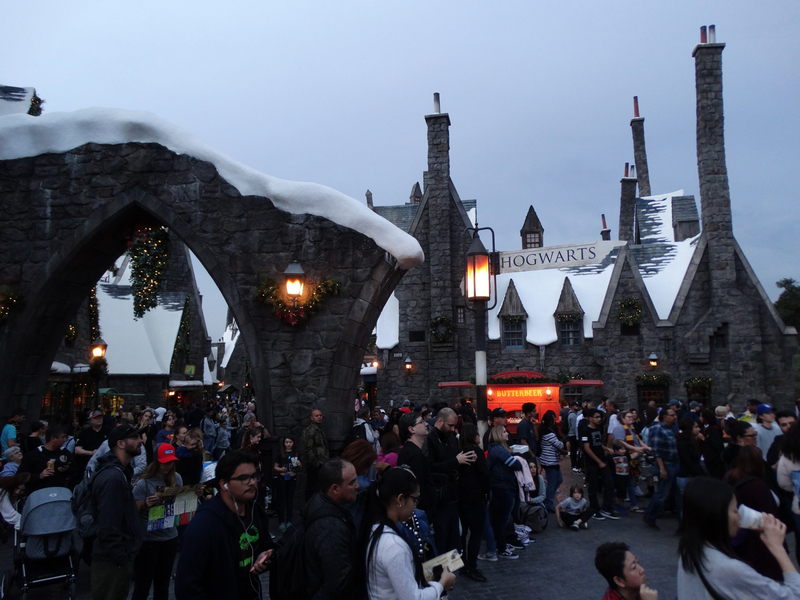 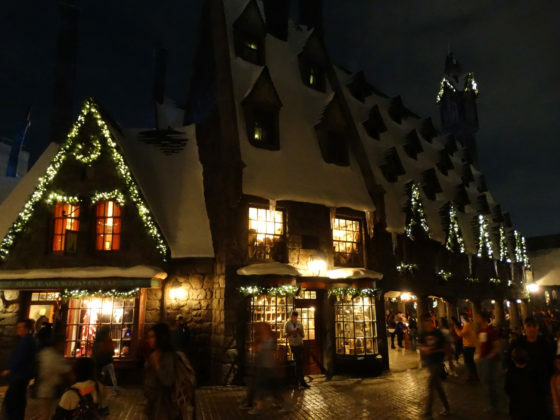 The most wonderful time of the year has arrived at Hogsmeade as Christmas in the Wizarding World of Harry Potter returned to Universal Studios Hollywood this past weekend. 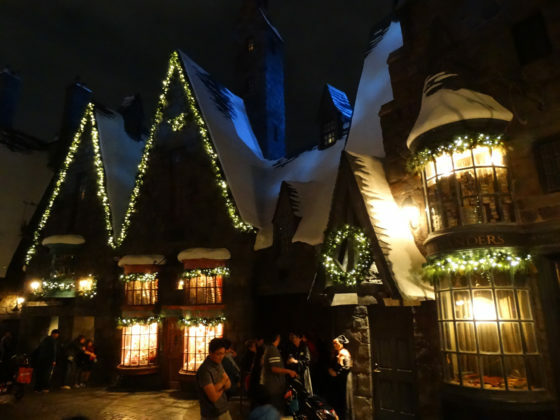 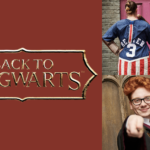 Guests entering the area themed to the world of J.K. Rowling’s magical Harry Potter novels and movies will immediately notice the new holiday decorations and get an irresistible taste of what it must be like to celebrate Christmas in that fantastical universe. 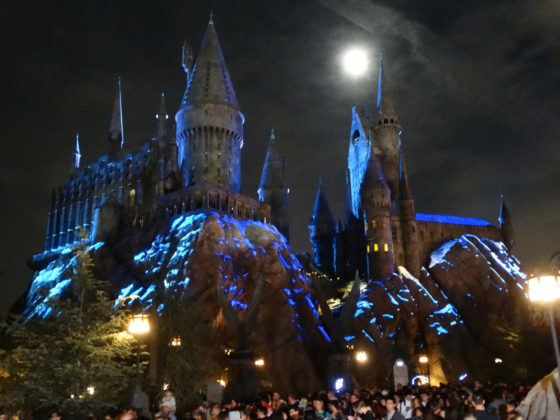 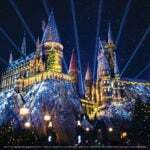 The absolute must-see attraction during this time of year in the Wizarding World is “The Magic of Christmas at Hogwarts Castle” seasonal projection show, which can be viewed several times a night from the gathering space just outside of Hogsmeade Village. 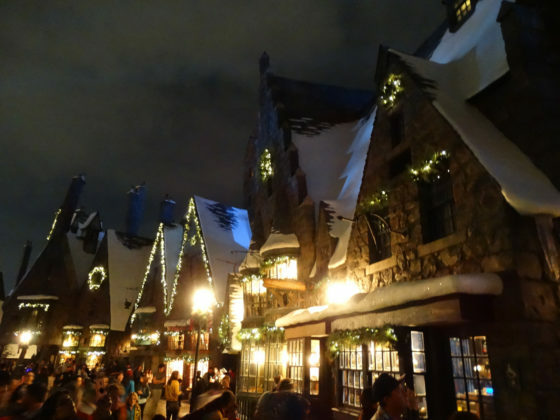 Wandering around Hogsmeade itself is also an atmospheric treat, with attractive decorations, festive lights, lively music, and even the occasional enchanted snowfall. 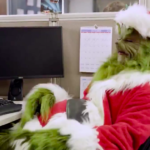 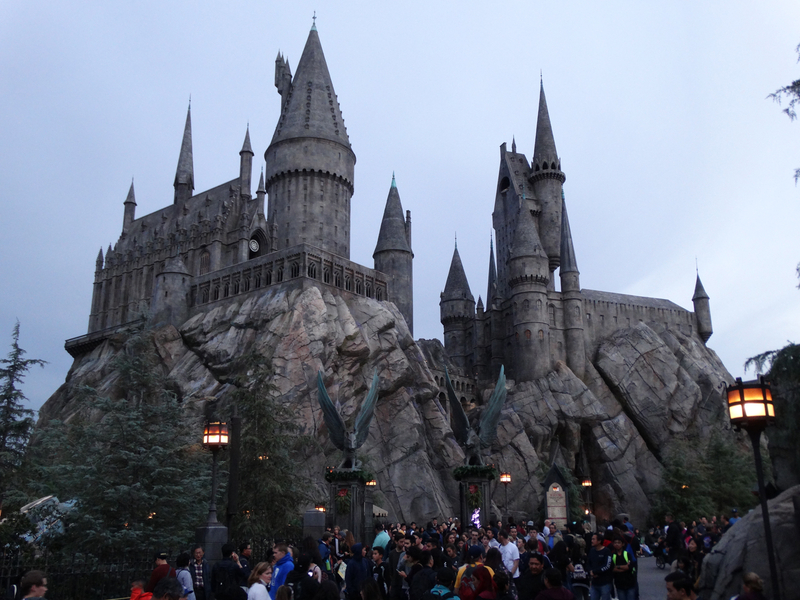 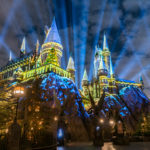 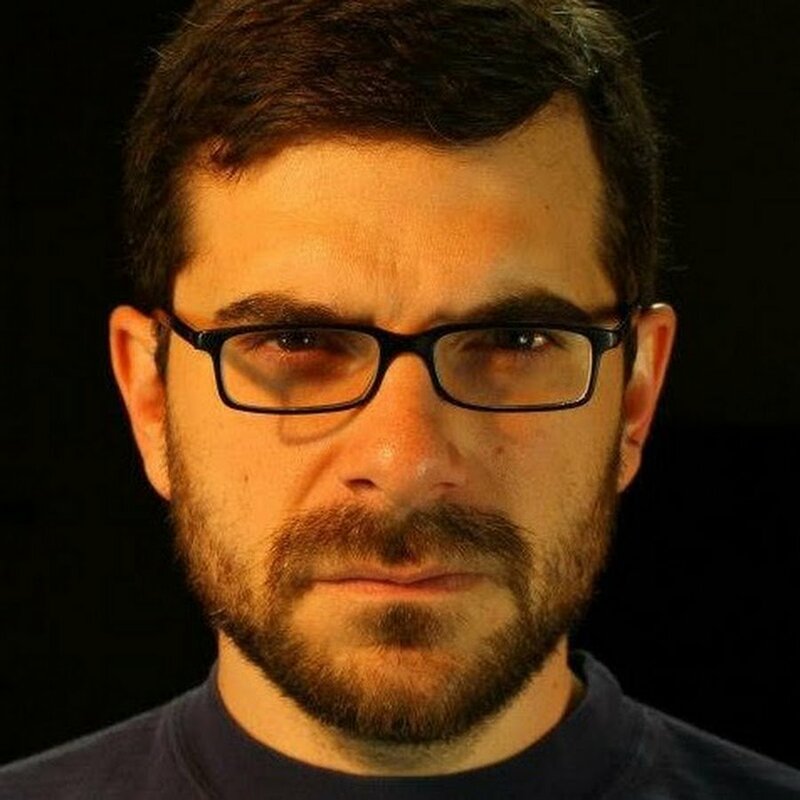 When I visited the Wizarding World earlier this week to check out its Christmastime offerings, I was given the terrific opportunity to speak with Universal Studios Hollywood’s Senior Director of Entertainment Production Stephen Siercks, who enlightened me about the various sights, sounds, and tastes around Hogsmeade this holiday season. 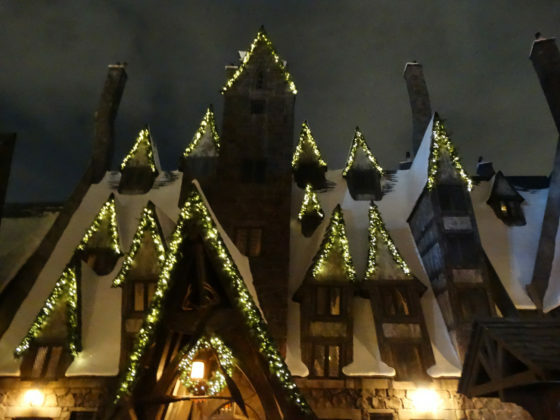 Also available are the fan-favorite Frog Choir singing holiday themed songs, a wide selection of custom-made Christmas ornaments, decorative Hogwarts Castle snow globes, Hogwarts crest and mascot ornaments, unique tree toppers, house pennant garland, wintertime food offerings in the Three Broomsticks restaurant, and of course that seasonal must-have beverage: hot Butterbeer. Christmas in the Wizarding World of Harry Potter takes place from now through Sunday, January 6 at Universal Studios Hollywood. For more information and advance ticket sales resources, be sure to visit the park’s official website.